247Security, based in Alpharetta, Georgia, is a leading provider and manufacturer of mobile digital video recording equipment, security cameras and GPS data management applications. 247Security’s products integrate seamlessly with Transfinder’s technology. For example, by marrying Transfinder’s bus planning tools with 247Security video, district personnel can quickly respond to incidents by identifying the students who are assigned at a bus stop with the actual students via the video feed. “We can provide the video of every bus stop. Every stop can be viewed and analyzed. We can see how many get on the bus live,” Nguyen said. 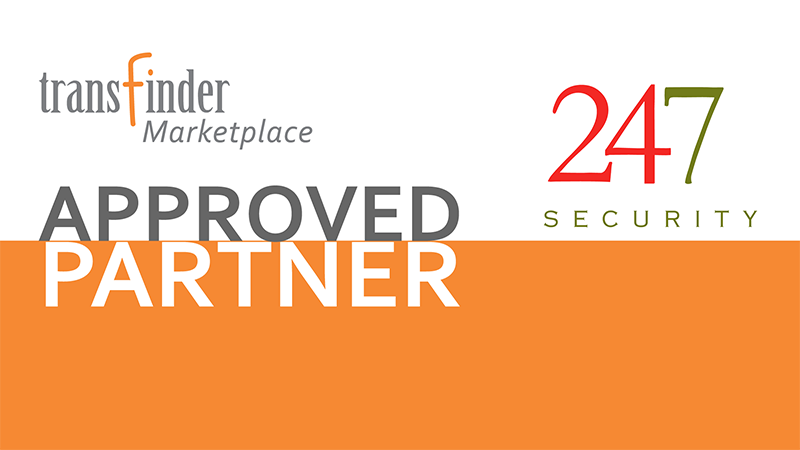 Transfinder’s Marketplace highlights “best in class” vendors such as 247Security that have been vetted by Transfinder and the market in a number of areas, including camera technology. Transfinder created the Marketplace as school districts’ needs have become more complex and sophisticated. The Marketplace gives schools and municipalities choices from among top-tier service providers that integrate with Transfinder’s technology. Transfinder’s development team has created an amazing interface with 247Security’s technology which now allows Transfinder clients the ability to leverage camera technology. “Transfinder’s open integration model has allowed for a successful collaboration between two companies committed to providing new and innovative solutions to our clients,” said Joe Messia, Transfinder’s COO. For more information regarding the marketplace, contact Joey Benincasa, Strategic Partner Manager, at marketplace@transfinder.com or call (800) 373-3609 ext. 8304. Founded in 1988 and headquartered in Schenectady, New York, Transfinder is a national leader in intelligent transportation systems, providing transportation management systems and services to school districts, municipalities and adult care facilities. Transfinder, an Inc. magazine “fastest-growing company” for the past ten straight years, has offices in Austin, Texas, and Shanghai, China and is headquartered in Schenectady, New York. The software company develops and supports routing and scheduling solutions for optimal transportation logistics. For more information, visit http://www.transfinder.com.